Lofted bends are great way to create specialized sheet metal parts where you need a high degree of transition from one profile to another – think square to a circle duct work. The lofted bend requires two open contour profiles for it to work, with no guide curves or sharp corners, so there are limitations. The problem comes when you want to see the bend lines. 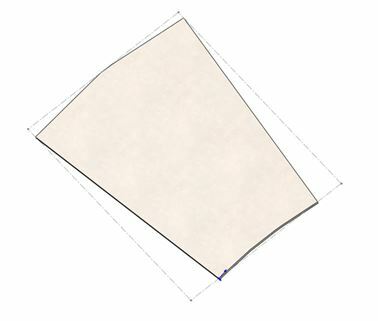 SolidWorks has rules for the sketches in order to see bend lines. Looking at the previous image, we’re going from one sketch entity (an arc) to three (straight line – arc – straight line) = no bend lines. How can you get around this problem? 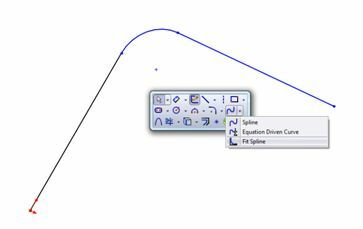 Easy–drop everything down to a single sketch entity via the Fit Spline and the straight line – arc – straight line are now a single spline entity. 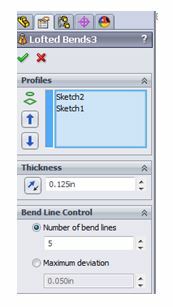 Go back and edit the Lofted Bend feature and you now have the option to control the number of bend lines or Maximum Deviation. 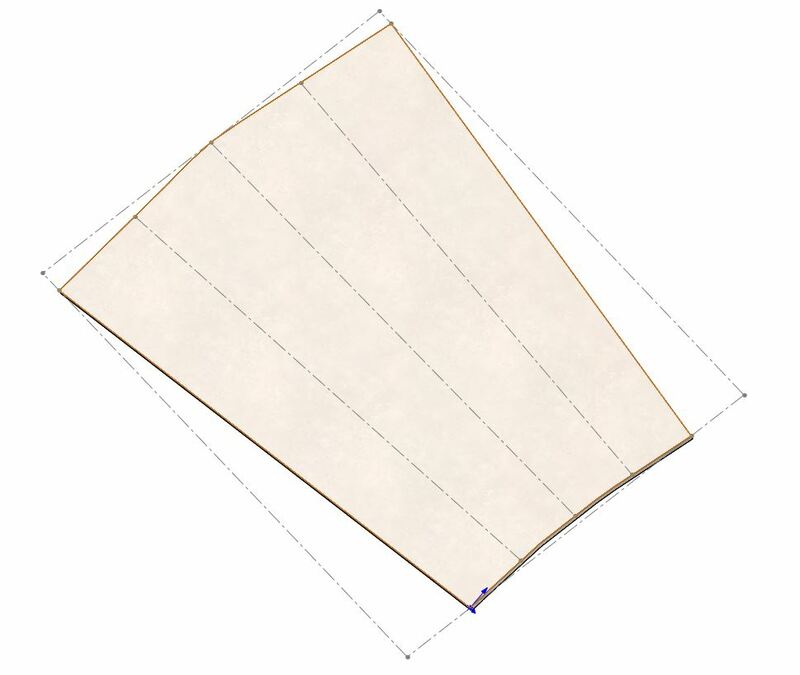 And your flat pattern will now show the bend lines. Steve Ostrovsky is an Applications Engineer at TPM, a SolidWorks reseller with locations in North and South Carolina. Want to try out the sheet metal capabilities in SolidWorks Premium? You can request a free trial on our website.